Android TV’s currently in a rut, but Google can still save it. When you think of smart TV platforms, what comes to mind? If you’re like most people, you probably conjure up images of Roku, Chromecast, Apple TV, and Amazon Fire TV. These four platforms have proven to be the top dogs for consuming media on the big screen, and despite Android being the world’s most used mobile operating system, it’s still failed to attract a similar audience when it comes to televisions. Google’s first big bet on Android TV came with the Nexus Player in 2014 following the disaster that was the Nexus Q, but that also happened to be its last. Companies like NVIDIA, Xiaomi, and Sony have tried keeping the platform alive through their own set-top boxes and TV sets, but the lack of commitment from Google over the past couple years has put a damper on the platform as a whole. In addition to the numerous Sony televisions that use Android TV as its smart TV platform of choice, CES 2018 also saw new partnerships with Westinghouse, Hisense, Philips, and NVIDIA. Third-party brands are still using Google’s smart television interface, but the fact that the OS still exists doesn’t necessarily mean that it’s succeeding. Android TV is in a pitiful state at this point in 2018, but that doesn’t necessarily mean it’s dead. Google’s got a lot of work to do to catch up with the lead Roku, Amazon, and Apple have gained, but this feat is still achievable. This past March, Google came out of left field rebranding Android Wear as Wear OS. The operating system is still the same, but the Android Wear logo and branding are dead in favor of the Wear OS ones. We haven’t heard any plans regarding an Android TV rebrand, but I certainly wouldn’t count it out. Television OS would exist nicely with Wear OS and Chrome OS. Not only does Wear OS help Google push more and more away from the Android branding it seems so keen on killing, it also helps to create a cohesive naming scheme for Google’s various operating systems. Now that we have Chrome OS and Wear OS, it’s not crazy to think that we may eventually see a Television OS or something else along those lines. Android TV’s name certainly isn’t its only pitfall, but it’s a small change that would help Google appeal to a broader audience. Instead of the Nexus Player running Android TV, what if we got the Pixel Player running Television OS? Although Google’s yet to see any real success with Android TV, the exact opposite can be said for Chromecast. First introduced in 2013, the Chromecast hs remained as one of the most affordable and popular options for easily bringing Netflix, Hulu, Spotify, and more onto your TV. There’s no denying that Chromecast is an excellent platform, but why has it succeeded when Android TV’s failed? Google’s nearly perfected the formula at this point, and despite the two models nearing three and two years old later in 2018, they’re still the easiest options to recommend for people that want to add affordable smarts to their existing television. 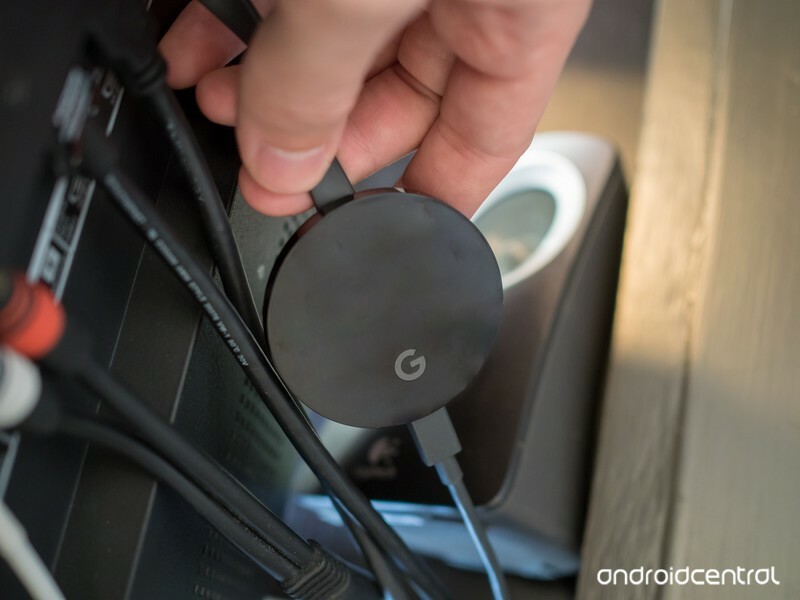 In my opinion, Google needs to market Android TV as an extension of Chromecast. For people that want the Chromecast experience in addition to a physical remote and user interface they can interact with on the big screen, Google should release something with a similar form factor that runs the Android TV operating system, allows users to cast their content, comes with a remote, and still sells at a competitive price (maybe around $100 or so). What’s going on with that mystery dongle? With that said, it looks like we may actually see something along those lines before the year is over. 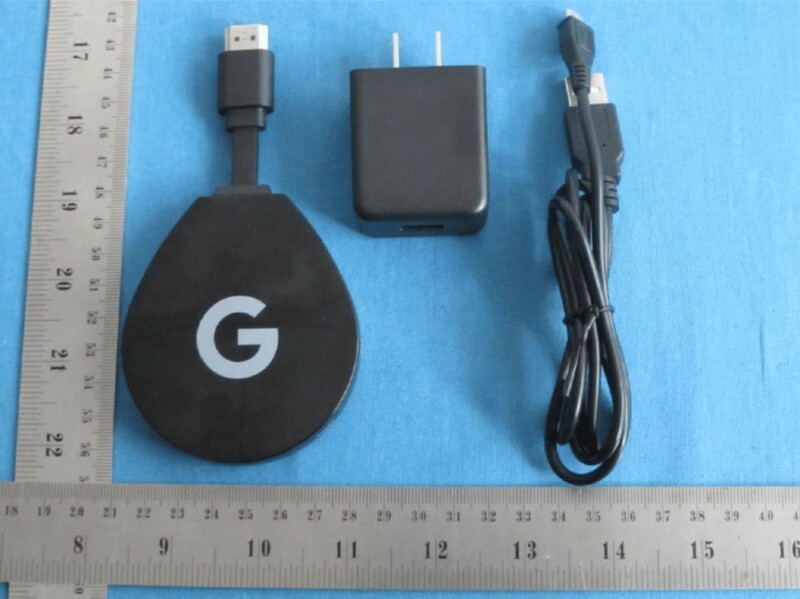 A Chromecast-like dongle running Android TV recently passed through the FCC, and it did so with a giant Google “G” logo plastered on its front. The dongle supports 4K playback, has the same processing power as the newest Amazon Fire TV, and its remote features a dedicated button for prompting the Google Assistant. As exciting as this all sounds, there’s still a lot of uncertainty surrounding the gadget. Right off the bat, the hardware itself is undeniably cheap-looking. The power adapter and USB cable look like something you’d buy at your local dollar store, and the “G” logo almost looks too in-your-face. 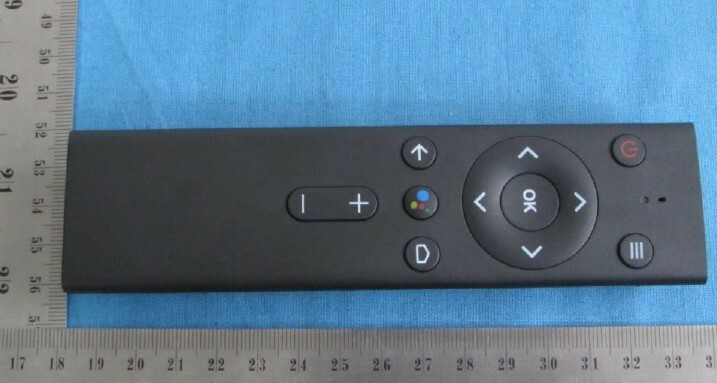 The remote appears to be made with more thought, but there’s an uncanny resemblance to the one that comes with the Xiaomi Mi Box. All of this could easily lead to the conclusion that this is just some knock-off product pretending to be made by Google, but the plot quickly thickens. Shortly after the spotlight was shown on the dongle, almost all of the images found in the FCC listing were removed and placed under a Short-Term Confidential label until October 8, 2018. For what it’s worth, Google held events on October 4, 2016, and October 4, 2017, to announce its new Pixel hardware for the respective years. I have a hard time believing that the hardware shown in the FCC listing is something Google would sell to consumers, but it could very well be meant for developers similar to the ADT-1 that was released as part of Android TV’s original development kit in 2014. With the recently revived interest in Android Wear (er, Wear OS – still trying to get used to that) and this dongle popping up, I wouldn’t be surprised if Google takes time throughout the event to talk about Android TV in some fashion – whether it has to do with a new name for the platform, an early look at upcoming hardware, or yet another visual refresh. 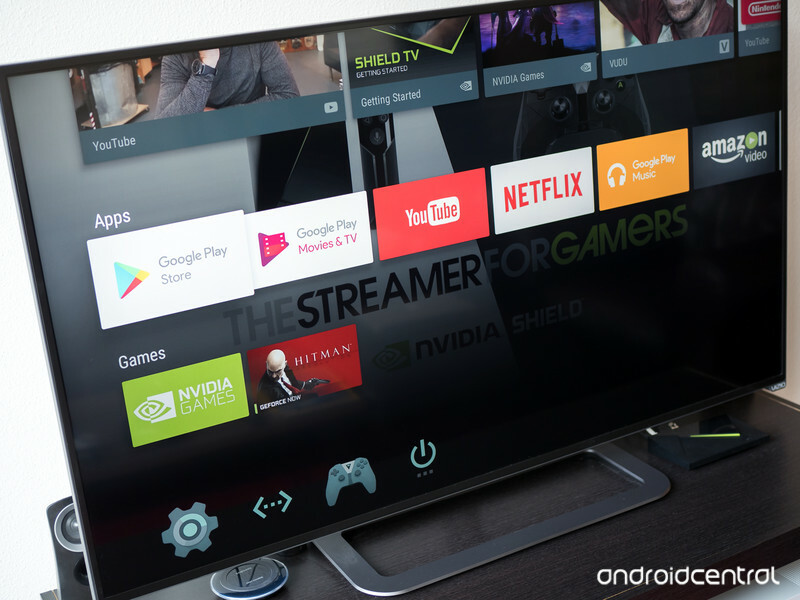 Whatever happens, what direction would you like to see Google take with Android TV this year? Sound off in the comments below!